“I felt very comfortable. I believe that Dr. Abrankian listened to me and explained what he believes is happening with my back.” – N.S. 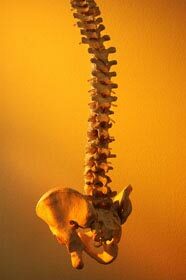 We have been delivering quality Spinal Care to Sunnyside, Queens area residents since 1995. Our 1200 sq/ft office is a state-of-art spinal health care facility designed to provide the very best of care for our patients. We combine quality chiropractic care and state-of-art physiotherapy modalities to provide a lasting resoulution to your spinal problem. At Abrankian Back & Neck Center, we encourage our patients to achieve the highest levels of health they can. Through educational opportunities (like this website) and our Back School Program, we hope to communicate the value of ongoing chiropractic care. Our desire is to see our practice members abandon the prevailing sickness care model of health (waiting for symptoms and then taking action), in favor of the emerging wellness model. Regardless of your health goals, please understand that we see ourselves as mere servants. You’re the boss! It’s your body, your health and your future. Our job is to offer you the finest chiropractic care possible in Sunnyside, make appropriate recommendations and work together to achieve your goals. Take the first step towards relief by calling our Sunnyside practice today and make an appointment to discuss your health goals.